Presented here is a complete set of cartographic map sheets from a high-resolution atlas of Saturn's moon Mimas. 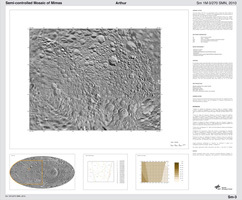 The atlas is a product of the imaging team working with NASA's Cassini spacecraft. 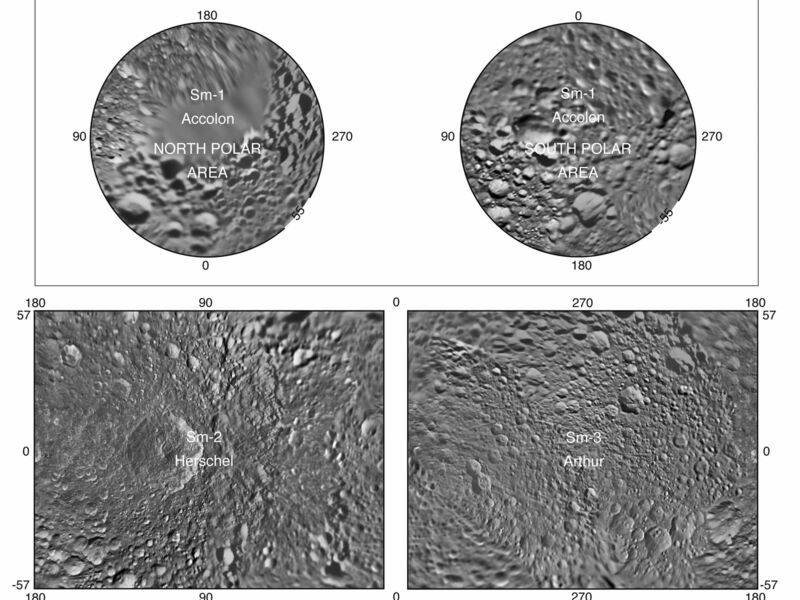 Mimas, as imaged by NASA's Voyager spacecraft in the early 1980s, has a very large, distinguishing crater that makes it look like the "Death Star." 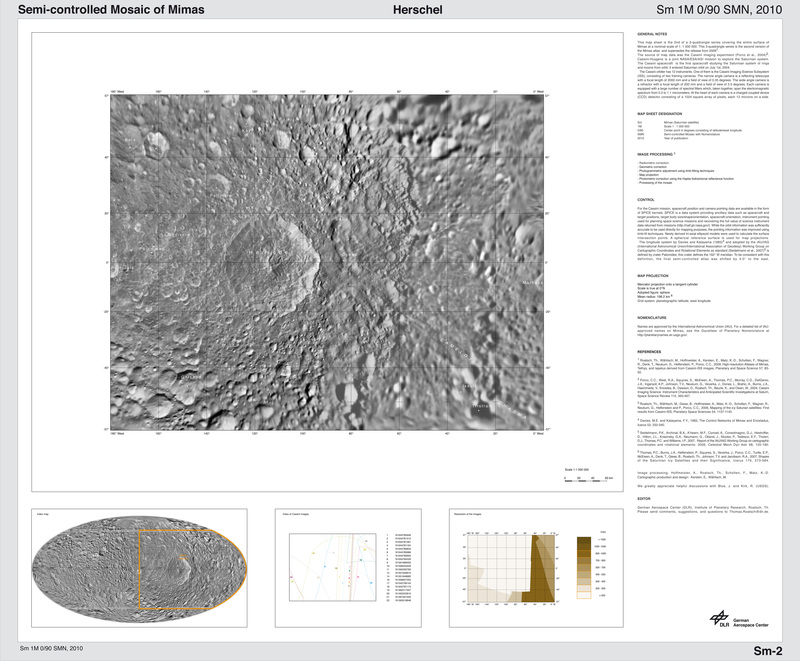 As shown in this map, that crater is named Herschel. 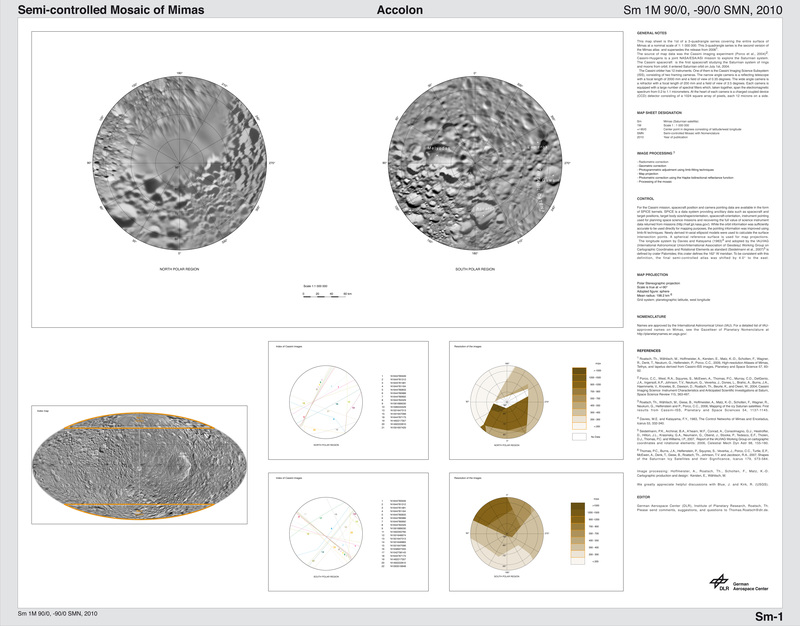 The map sheets form a three-quadrangle series covering the entire surface of Mimas at a nominal scale of 1:1,500,000. The map data were acquired by the Cassini imaging cameras. 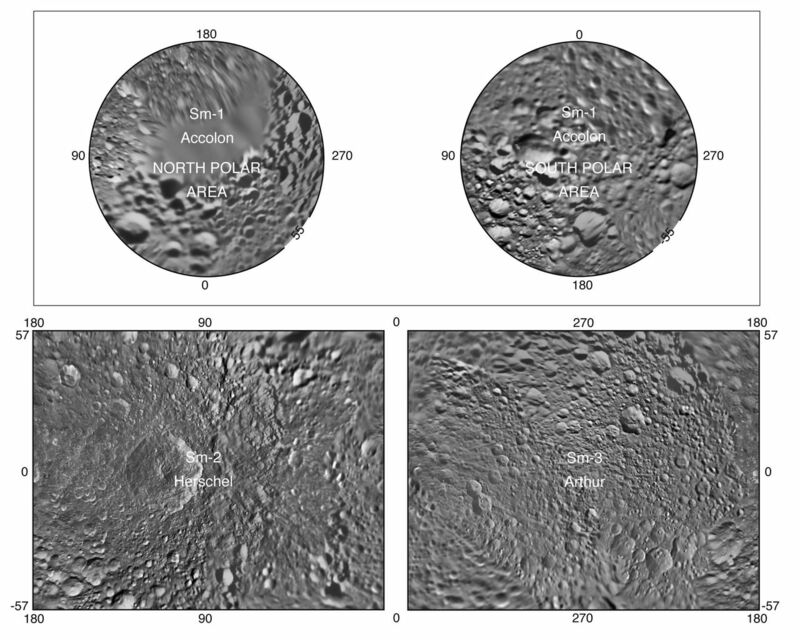 The mean radius of Mimas used for projection of the maps is 198.2 kilometers (123.2 miles). 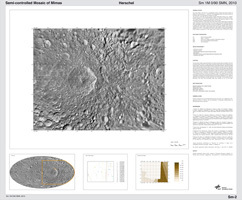 Image scale is 216.2 meters (709 feet) per pixel. 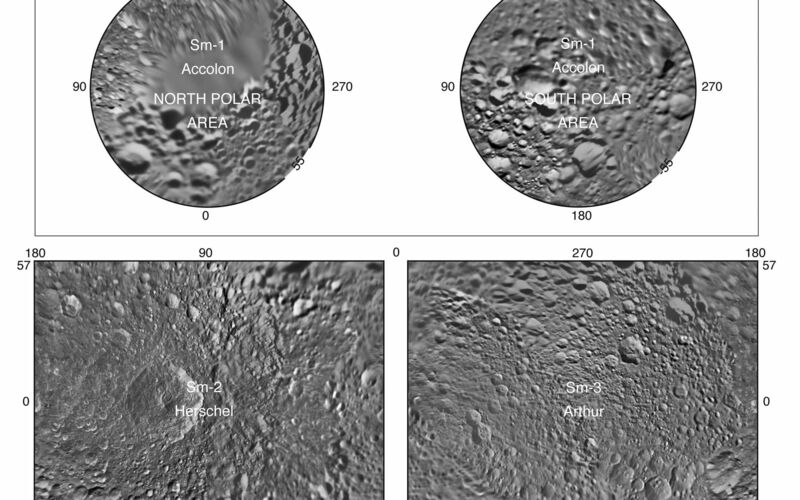 The resolution of the map is 16 pixels per degree. 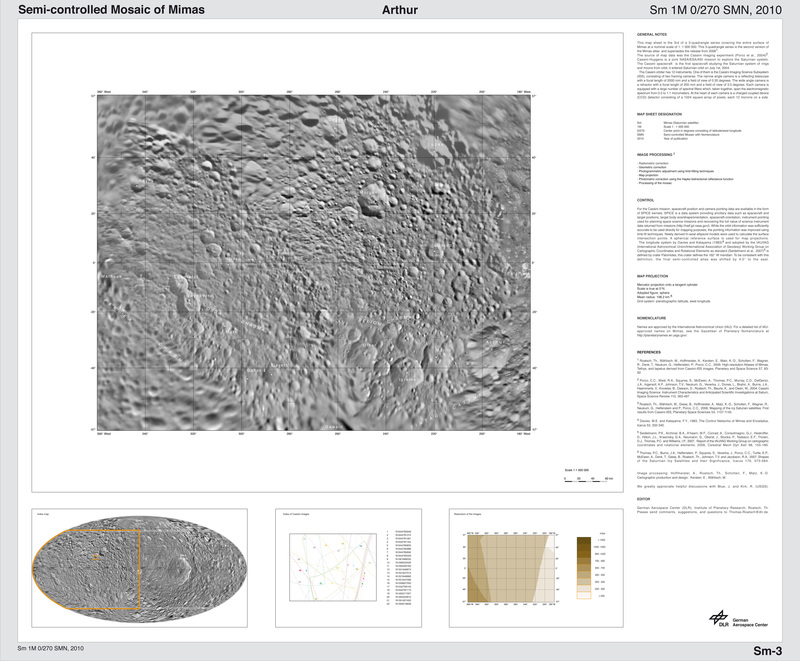 This atlas is an update to the version released in October 2008 (see PIA11117).